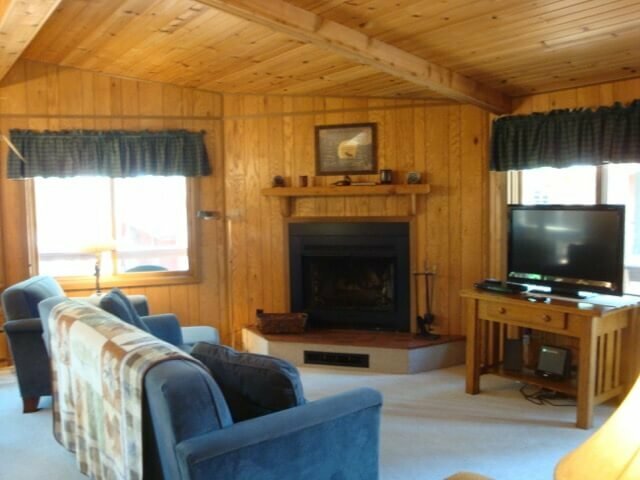 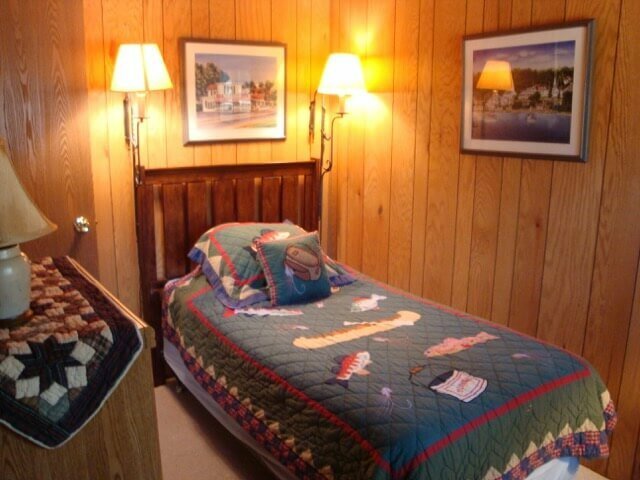 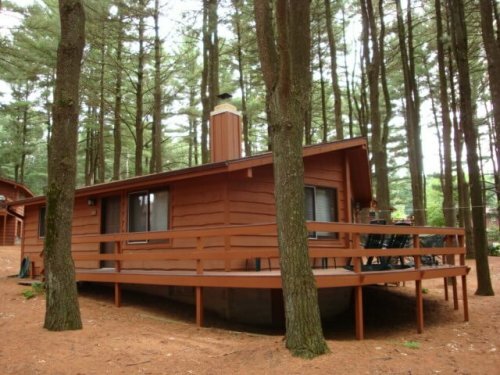 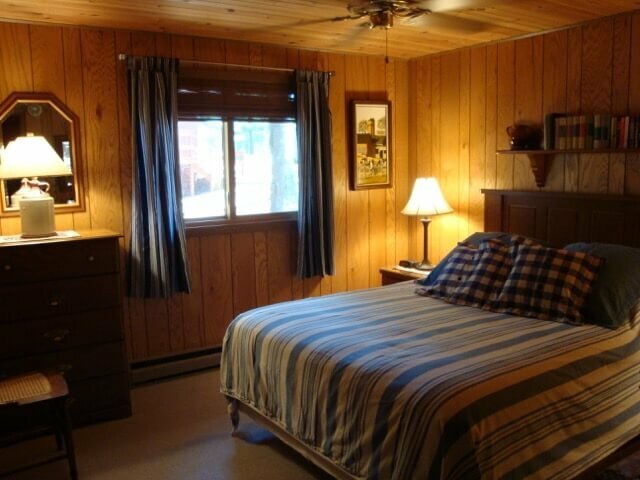 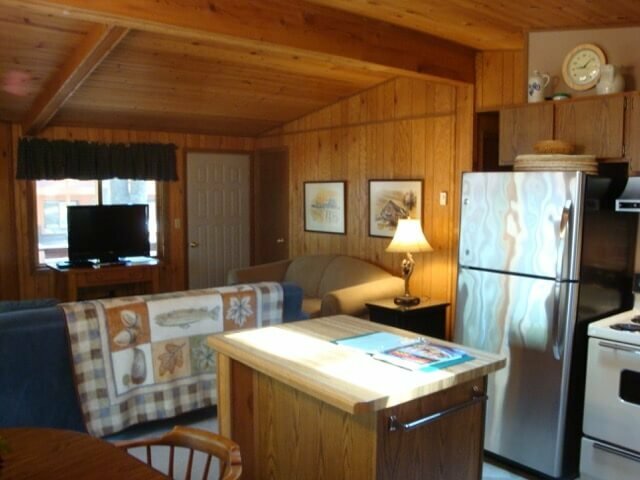 Take a leisurely walk among the tall pines and you will find this cozy, yet spacious two-bedroom, one bath private cabin that features a fully furnished kitchen and wood burning fireplace. 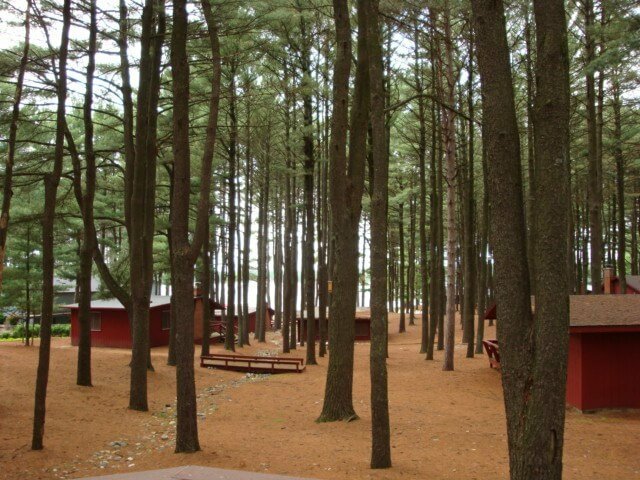 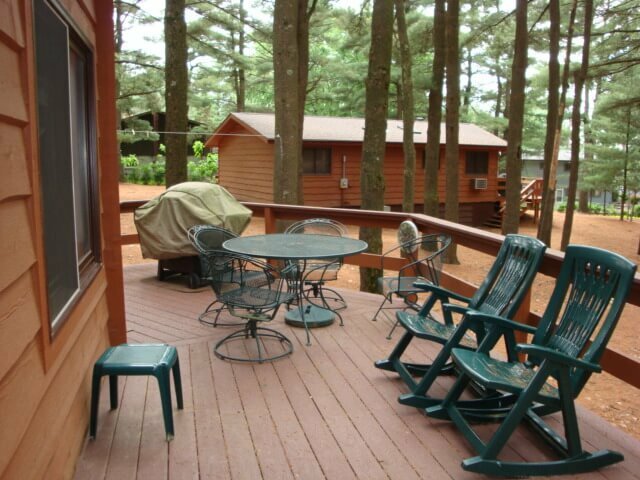 Enjoy grilling on your wood deck while taking in the fresh pine air. 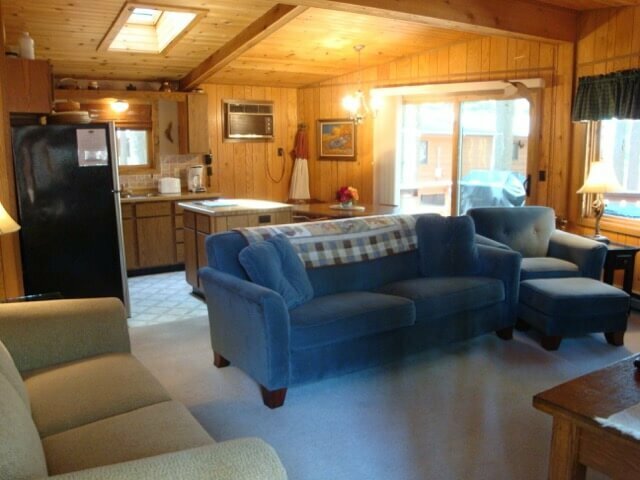 This cabin accommodates up to 5 people and is non-smoking. 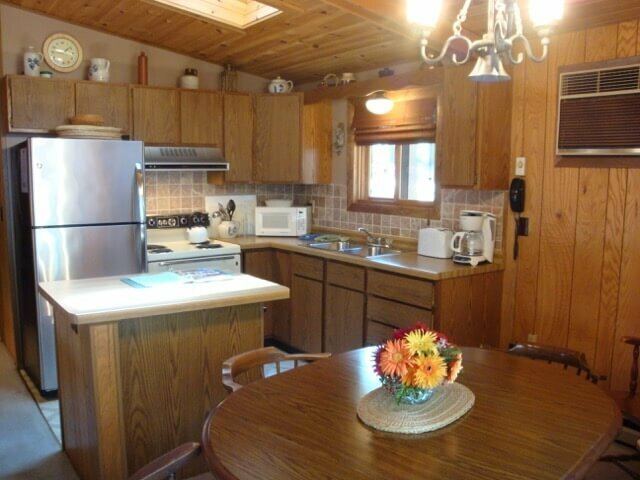 Kitchen with microwave, full-size refrigerator, oven and stove (Grill and cooking utensils, pots and pans, dishes, silverware, toaster, coffee maker and blender provided.